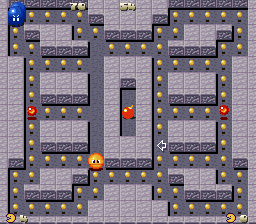 15 February 2003: Added Hyper Pacman. 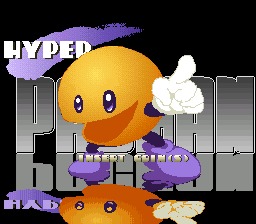 Hyper Pacman : Everything works fine. Simple enough hardware, a 68000 and a Z80 with a YM2151 and MSM6295 for the sound. Graphics only consist of a sprite layer. The only pain-in-the-arse bit was the graphics decoding, otherwise it’s a fairly simple driver.